Sycamore is 43% softer than White Oak. Sycamore flooring is available in two types of cuts: Quarter-sawn and Plain-sawn. Quarter-sawn Sycamore flooring is the most prized type of Sycamore. The figured appearance of the Quarter-sawn is very similar to that of Leopardwood but is a light-tan color. Plain-sawn Sycamore has a very bland appearance and so is not highly desired. For that reason it is not included in this description. Quarter-sawn Sycamore flooring ranges from light-tan to pink. The grain is three-dimensional in appearance. Quartered Sycamore is offered only in a Select and Better grade. Plain-sawn Sycamore flooring includes all the character found in the wood and is called a “mill run.” This type of board will contain large knots, light-yellow sapwood, dark heartwood, and worm holes. Plain-sawn Sycamore looks nothing like the Quarter-sawn and is not a commonly found floor. Quarter-sawn Sycamore is only made to order in a long plank, where the lengths and widths are made specifically to each project’s specifications. The longest lengths can be from 10 to 14 feet, and the widths can be from 2¼″ up to 6 or 7 inches. Moisture content is between 6% and 8% for quick acclimation. Quarter-sawn sycamore is only found unfinished. It can be prefinished in ¾″ solid or engineered with a veneer top layer by special request. Quarter-sawn Sycamore flooring is very rare. Few companies dry the lumber and fewer manufacture it into flooring. Custom orders usually demand 4–6 weeks for production, depending on lumber availability. Pre-milled standard 7-foot bundles are a stock item. Quarter-sawn Sycamore flooring has an even light yellow and tan appearance. The flooring makes for a very desirable floor aesthetically. Sycamore is not sensitive to sunlight and will not darken considerably with an oil-based finish. Also, water-based finishes can be applied to slow any color change. 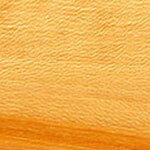 Quarter-sawn Sycamore is moderately durable and resists denting and traffic wear. Sycamore is relatively stable in comparison to other species like Yellow Pine because it is quartered. Although a hardwood, Quarter-sawn Sycamore flooring works with little difficulty with both hand and power tools. When installing the flooring, it is best to use a manual nailer, but staples and pneumatic nailers work well. Installation is quicker with higher-grade flooring because the lengths of the boards are typically longer. Sycamore holds screws well, and it glues, stains, and polishes to a very attractive finish. It is relatively easy to sand with flooring equipment, but professional sanding and finishing is recommended. Sycamore accepts stain quite well, which can alter the appearance of the floor drastically if desired. Because of its price, Quartered Sycamore flooring is used in high-end residential applications for a dramatically figured floor. It is also used for color-contrasting borders.